Our first snow storm has come and gone and that means Chicagoan's will be hunkering down for the long haul soon. Before you rush inside and grab a spot on your couch, pick up something that will warm you up like our December Beer of the Month. Forbidden Root, Chicago's first botanic brewery, is paying homage to the brewers of yesteryear by showcasing ingredients some of America's earliest brewers might've used. Don't be surprised to see ingredients like wintergreen, cardamom, honeybush, marigold, or black walnuts, just to name a few. Forbidden Root is tapping into the way early brewers would forage for local ingredients and allowing their customers to see what some of those early concoctions may have tasted like. The wide range of flavor profiles leads us to believe these beers will pair wonderfully with food and we've heard rumors of a brewpub that should offer just that. 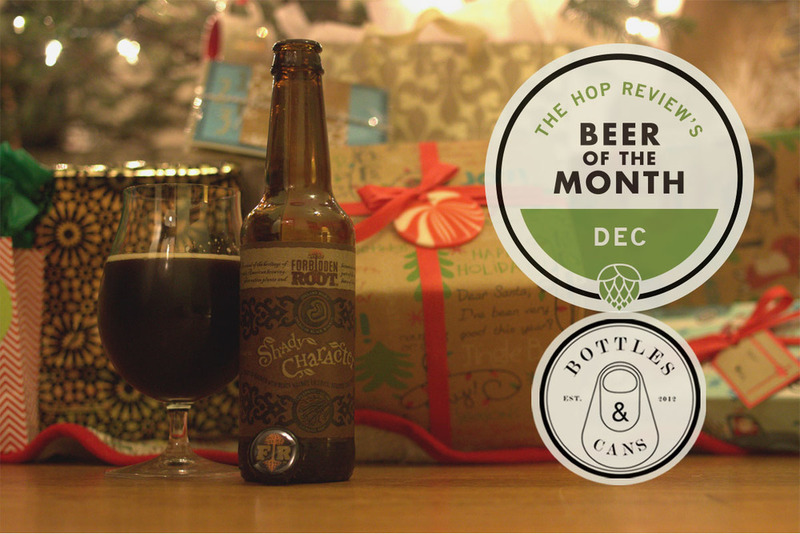 For December, we wanted something roasty, earthy, and smooth that could get us through the cold and snowy nights and we think we found that here with Shady Character. Check out the specs below. You can pick up Forbidden Root Shady Character at Bottles & Cans (4109 N. Lincoln Ave.) in Northcenter. This has to have one of the most intriguing aromas on a beer we've ever had. The first drive by of the nose we got subtle hints of blueberries which is weird since there aren't any blueberries in this beer. With a longer, deeper inhale we were able to pick up notes of licorice, anise, earthy nuttiness, and roasted walnuts. It's definitely one where you pick up different aromas as it warms up. Poured into a snifter the appearance is muddy brown with a noticeable haze and murkiness to it. A thin layer of foam briefly capped the top but quickly dissipated. On the tongue you get notes of sweet syrup and molasses followed by roasted walnuts and a soft hint of alcohol. It finishes on the sweeter side with the corners of your mouth slightly sticky. For a cold night we'd recommend pouring this into your favorite glass and sipping this one slowly.